Down Under is excited to welcome Carson back to Boston! Rocket Yoga is a dynamic and challenging vinyasa flow sequence, combining poses and transitions from the Ashtanga Yoga Primary, Second, and Third Series. In this class, you can expect a little bit of everything: arm balances, backbends, deep twists, and of course, inversions. Be ready to work hard and play hard. Prerequisites: a comfortable crow pose and some experience upside-down. Learn techniques to make your yoga practice stronger. In this workshop, we will use bodyweight exercises to build arm and shoulder stability, core control, and a stronger pair of legs. 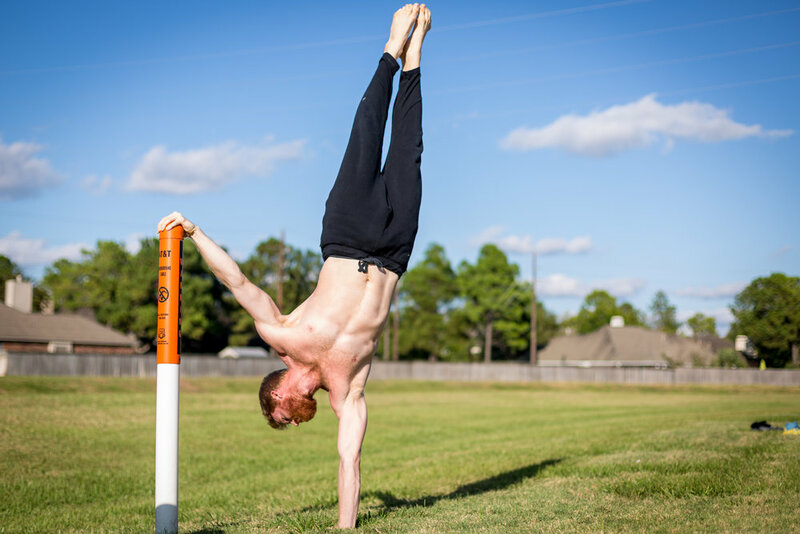 A self-described “Handstand-Up Comedian,” Carson combines his love for being upside-down with his natural ability to make people laugh. During his workshops, trainings, and retreats, students are encouraged to push their limits and explore their edge, while maintaining a playful attitude. In every instance, one can be sure to break a sweat, learn something new, and leave with a smile on his or her face. After years of encouragement from his mother, Carson began practicing yoga in 2010. He did his first 200-hour teacher training in 2011 at Little River Yoga and has since studied Ashtanga Yoga with David B. Keil and has since evolved his focus and loves teaching Rocket Yoga. As a movement enthusiast, Carson incorporates a variety of disciplines into his yoga classes, which focus on building a strong mind and body.